Update on what we have been up to! Oh the Las Vegas summers... It has been hot, sporadic, and exciting for us here at Dude Where's My Hotdog. A few weeks ago we partnered up with Chef Danny from Spicy Camel Trading Company to hit the streets and feed the homeless. This served as a reminder of how lucky we have been and the feeling to give back to those in need was humbling. If anyone ever has the urge to take the truck out, donate product or time then please hit us up to go out and serve our community. We did 300 bottles of water, 300 hotdogs and 300 bags of chips and as much as that sounds, there were so many people in need we could have done more. SO PLEASE HIT US UP ANYTIME TO TO HELP THOSE WHO ARE LESS FORTUNATE!! 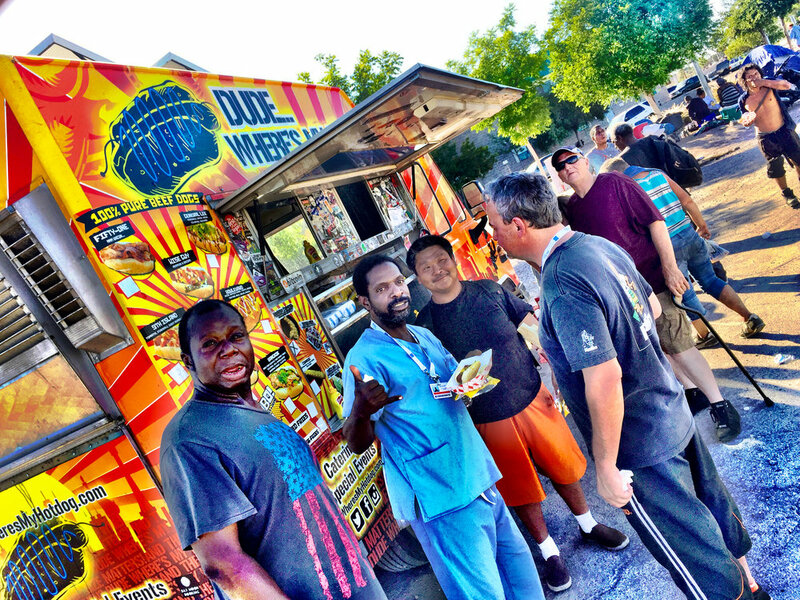 Many of you may not know Danny, but if you have eaten our truck you have tasted his greatness. Danny has a vast background in fine dining and has a knack of finding flavor profiles. We utilize his creations with our gluten free batter as well as the Mex-I-Can seasoning to bring our tacos to life! Danny has an amazing arsenal of spice blends to give your food that WOW factor and I encourage to check out his website https://www.mkt.com/spicycameltradingcompany as he is not only a genius in the kitchen but a great friend as well! Our very own dog slinger Trent has opened our 2nd location in Columbus! Be sure to catch them at THE DOUBLE HAPPINESS bar when you are there! Project150 Wine Walk at Tivoli Village! Super cool event pairing beer and wine with a specialty item from each food truck! 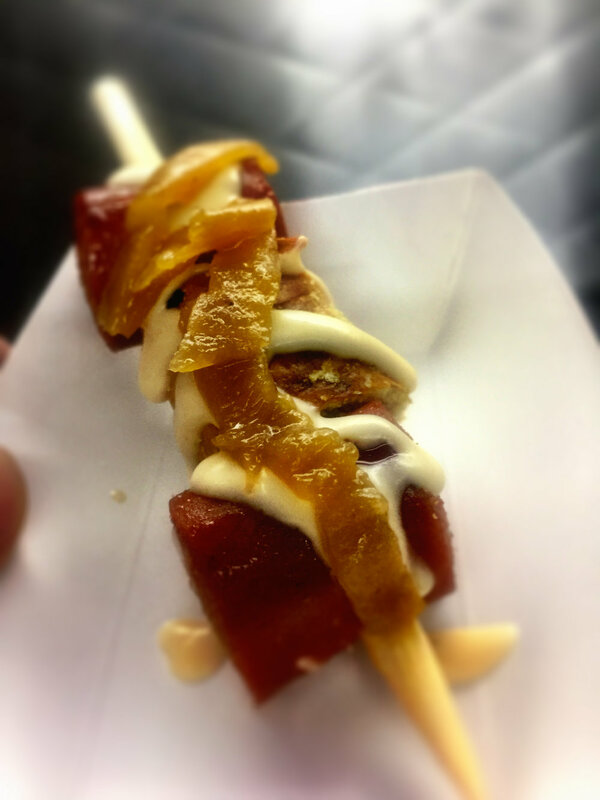 We did a hotdog and pretzel skewer covered in a Warsteiner Beer cheese sauce and Warsteiner beer onions; MAN IT WAS DELICIOUS and all the trucks there had amazing offerings! Thanks to the guys from The Great American Foodie Fest and Lee's Discount Liquors for organizing such an amazing event!